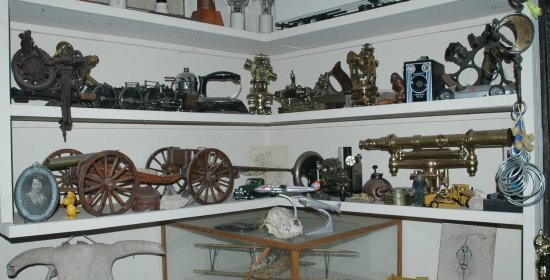 Back in 1972, a concern in Boston, imported two container loads of “antiques” to sell in its large store which featured fine reproductions as well. They thought they would be duty free, falling under the 100 year rule, which meant duty would not be collected on anything older than that. Instead, they were sent a bill for $2,250, stating that the contents did not meet this criteria. This would cut into profit, so I was asked if I could help. Fortunately, the timing could not have been better. Charles Eastlake’s book, Hints on Household Taste, influenced the style of furniture made after its publication in 1868. By 1870, factories in this country were turning out this Gothic style furniture, following the lead of the English makers. Since this problem occurred a hundred years later, I recommended that anything in Eastlake style or later should be credited to the duty collectors – anything Victorian or before, should be removed from the taxable list. The owners agreed with hesitation, as the whole load was not furniture – how would they fare with the glass, ceramics, silver, etc… In an earlier writing for this publication, I indicated that it was most important that anyone in the antiques field should learn their furniture periods and styles. This is the largest item in the home and all the decorative arts were designed to complement it. If one looks closely, it is possible to see similar features, which makes dating relatively easy. There are no absolutes in this business. We are confronted with transitional pieces which incorporate features from two or more periods. There are makers who inject their own ideas, hoping to improve the accepted fashions of the times. One can only look for those features which dominate the design and judge material content, provenance and in some cases, workmanship. At least, when we see the many 18th century side chairs with Queen Anne bases and Chippendale backs, we can safely date them to the middle of the century, when the design changeover took place. It is just as easy to note the change from the rounded forms of Victorian design as against the Gothic rigid squared forms – rarely did the two mix. I spent two hours with the load – though it was all English, the features of the pieces easily identified their age. The report was drawn up and the store saved over two thousand dollars in duty. It would have been difficult for the tax collectors to challenge the analysis. An incident like this reinforces the necessity that appraisers learn their furniture, if they are involved with any of the decorative arts. Most owners would like to identify their pieces by period and by age – this should not be relegated to furniture alone. The experienced appraiser does not need this advice – it is directed more to those getting into the business. Don’t get caught in a court case and have a competing expert blow you out of the water, because you did not do your homework.